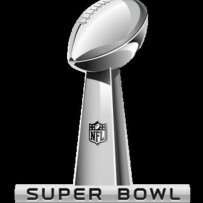 Super Bowl fever …did you catch it, yet? I’m not a football fan (gasp …), so I’m going to take the time this weekend to write, and revise. The majority of my family members will be hosting their own Super Bowl party, touting their predictions on Facebook and texting their disdain for the other team. This means my phone will remain silent! Yippee! I’m not watching the Super Bowl (horrified gasp …). However, I will tune in for some of the commercials. I’m still captivated by the subtle, and oftentimes, in-your-face creativity of the advertisers who come up with slogans and taglines that annoyingly stay in your head until you buy the product. This is probably old news for you football aficionados, but it was all new to me. The origins of the team names have great historical value. For example, The Baltimore Ravens get their name from Edgar Allan Poe’s poem (a favorite of mine), “The Raven.” It seems as though Baltimore residents chose the name during a poll conducted by the Baltimore Sun. When I read this, I perked up a bit. It’s been said that the Ravens are the most literary NFL team. Yes, Edgar Allen Poe lives on! Evermore! I’m impressed. I think I’ll do a little more research about other teams’ names. In any case, TGIF! Enjoy your weekend. For those of you watching the game or waiting for Beyonce’s wardrobe to malfunction, extra wishes for your Super Bowl weekend.